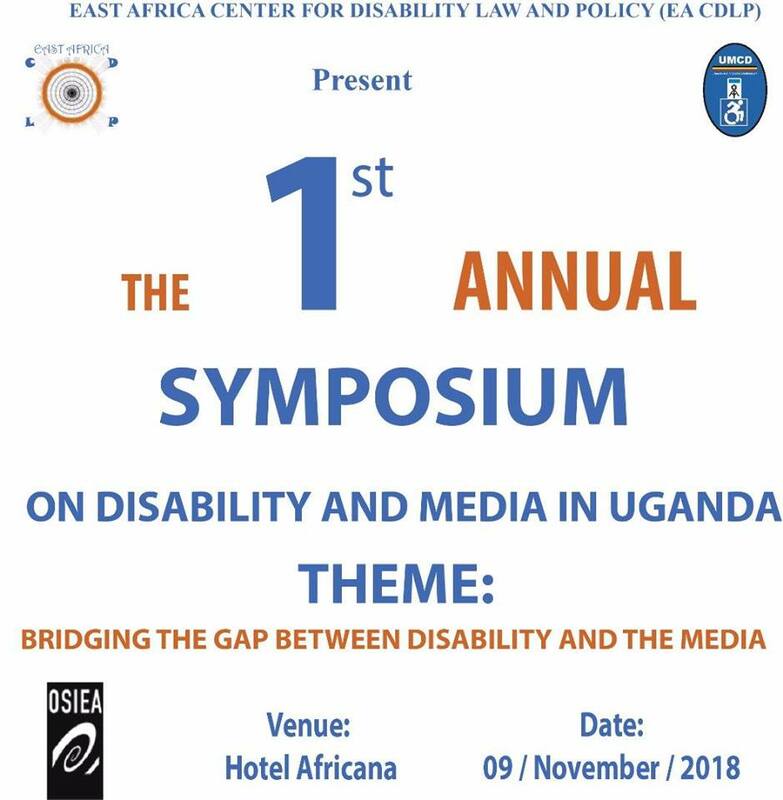 East Africa Center for Disability Law and Policy (EA-CDLP) is set to hold the 1st Symposium on disability and Media, peddled at discussing the factors influencing the position of the media on disability in the Uganda. The Symposium is expected to attract stakeholders of disability rights advocates and representatives of disabled people’ organizations, individual journalists and media practitioners, editors, media house owners and station managers, the academia, policy makers and implementers and the general public. Being the first of its kind, the Symposium will take place on November 9, 2018 at hotel Africana and will focus on highlighting the challenges that remain outstanding on both ends, response actions taken by different stakeholders and the future prospects and opportunities. EA-CDLP has for over the last 18 months worked towards addressing the scant coverage of disability issues in the mainstream and alternative media, the negative portrayal of Persons with Disabilities (PWDs) in the media and lack of a concerted and coordinated approach to media engagement by disabled people’s organizations (DPOs). This process started with a baseline survey that sought to establish the state of media coverage on disability issues in Uganda and was subsequently followed by virtual trainings for journalists and persons with disabilities to address the capacity gaps identified during the survey. With the establishment of the Uganda Media Caucus on Disability (UMCD), EA-CDLP has currently set a framework for information flow from DPOs to the public through the media and a platform to monitor and evaluate developments in the media related to disability issues. According to EA-CDLP, increased interest and appreciation to identify and include disability issues in news broadcasts, publishing and daily programming by individual journalists and media houses as well.